You can start losing weight almost immediately after exercising. Exercise requires energy, which affects the number of calories your body is burning at that time. Since calories influence weight, you’re likely losing some weight as a result of the increase in physical activity. The results, however, might not be immediately measurable by your standard scale. Consult your doctor before beginning any new exercise regimen, and discuss your weight-loss goals and plans. It takes a deficit of roughly 3,500 calories to lose 1 lb. of fat. Exercise can help you reach this deficit — if you’re able to burn more calories than you consume each day, you lose weight. To lose 1 lb. a week, you need to reach a deficit of 500 calories a day, while losing 2 lbs. per week requires a deficit of 1,000 calories a day. The amount of exercise needed to hit these numbers varies from person to person and activity to activity. The intensity of physical activity is one of the more influential factors in the number of calories burned, and thus affects weight-loss results. Let’s say, for example, you decide to swim as a way of losing weight. If you weigh 185 lbs., you can burn about 15 calories per minute swimming laps with the breaststroke, according to Harvard Medical School. Doing this for 30 minutes at a time, you’re burning almost 450 calories, which equates to almost one-seventh of a pound of weight loss each day. After a little over a week, you’ll likely see a measurable result of 1 lb. Like exercise intensity, the duration of your athletic pursuit influences calories burned. 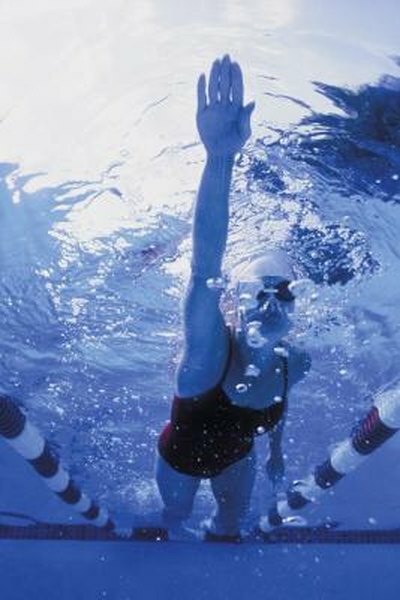 Using swimming as an example, let’s say you increase the duration of your laps to 45 minutes. At 185 lbs., you’re still burning 15 calories per minute, but now your workout burns more than 650 calories. This equates to almost one-fifth of a pound of weight loss. Now, you’re looking at a measurable result of more than 1 lb. in as little as a week. Though you can control your level of physical activity, you have better command over your caloric intake. In fact, according to Science Daily, cutting calories from your diet can be more effective for losing weight. That isn’t to say that exercise can’t help you lose weight, particularly when used in combination with a calorie-controlled diet. But it's a little easier to reduce your caloric intake by limiting portions and eating foods lower in calories, like fruits and vegetables, than it is to incorporate more and more physical activity into your day-to-day routine.